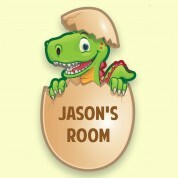 Dinosaur Themed Personalised Door Plate for Boy or Girl. 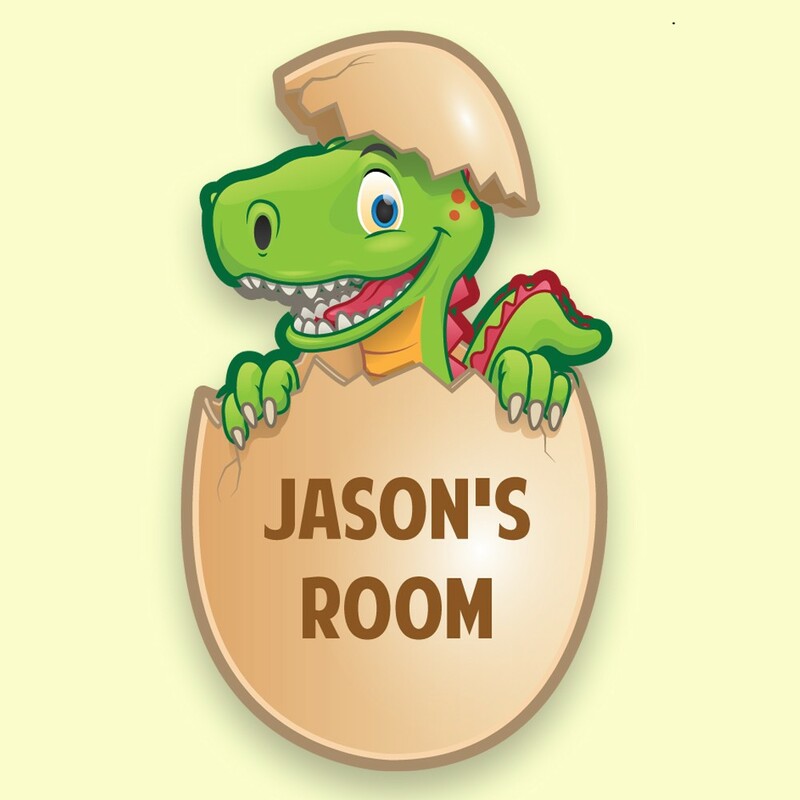 Dinosaur themed children's gifts are as popular as ever and when the design is as bespoke as this little personalised nursery or bedroom door plaque then it's clear to see why. Initially hand illustrated In-House by a Forever Bespoke designer, the design is UV printed onto 3mm opal perspex which brings out the colours whilst remaining light enough to securely attach to the bedroom door. Our team will add any first name up to 12 characters and will also individually laser cut every door plaque to the unique shape of the design. Your door plate will come with sticky pads for assembly.